"Our general definition of ‘good people’ is this: those committed to continuously cultivating the values that help them and others become the fullest versions of who they are." 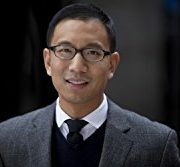 In Good People, entrepreneur, venture capitalist and author Anthony Tjan tackles the somewhat intangible and touchy-feely concept of ‘goodness’ and discusses why embracing goodness is… well… good for business. He wryly observes that many organizations claim that their employees are their most valued resource yet policies and procedures often fail to put people at the centre of decision-making processes. Goodness, in the business world, Tjan notes, is more often associated with competencies and measurable accomplishments. Important values such as humility, self-awareness, empathy, respect, and generosity receive less attention. This is a dangerous oversight. Mediocre character and mismatched values eventually undermine personal expertise, jeopardizing a business’s reputation, growth, and perhaps even its existence (recall Volkswagen and Enron). Tjan outlines a working definition, framework and lexicon for goodness so leaders can nurture it in themselves and create a robust organizational culture where employees thrive and do their best work. The Good People Mantra proposes five essential tenets for guiding decisions and actions in business and life. The Goodness Pyramid is a behavioral framework for transforming abstract values into thoughts, words and deeds. Tjan showcases several examples (WD-40, Starbucks, Zappos) where focusing on attitude and character first has fostered dynamic, responsive and highly successful businesses. Let’s explore how this might apply to your life and work environment. "Leadership of competency is relatively easy to source, but people of character and goodness, who are rooted to a set of core values that explain who they are and what they stand for, are much rarer and more valuable." Think about the last interview or performance appraisal you had or conducted. What questions were you asked/did you ask? How much of the focus was on past accomplishments and methodology? Did any questions explore the personal values and beliefs that influenced how those tasks were executed? I’ve had a number of interviews recently and the majority of the questions I was asked focused solely on job competencies. I don’t recall one question that directly inquired about my core values and what I stood for. Why is that? So how does one develop goodness? "Becoming good ourselves and cultivating goodness in others requires a rare brand of a stick-to-it-ness that yields disproportionate dividends over time." BE – People first, proactively and in the long-term. HELP – Others become the fullest versions of themselves. COMMIT – Beyond competency to the values of goodness. BALANCE – The realities and tensions of goodness. PRACTICE – Goodness whenever possible, not just when tested. "The values of truth, compassion and wholeness come from an internal place, and their realization requires stoicism, commitment and a belief in the value of long-term results." Living according to the Good People Mantra is a good starting point. Tjan’s The Goodness Pyramid goes deeper and explicitly explores three principle states of being (truth, compassion and wholeness) and nine values that anchor goodness in people and organizations. It was inspired by Abraham Maslow’s Hierarchy of Needs and so starts with a foundational level and progresses through to a state of wholeness. Truth demands honesty and congruency across all your actions, thoughts and feelings. It encompasses the foundational values of humility, self-awareness, and integrity. Compassion is the selflessness made possible by understanding others’ experiences. Compassion is reflected in the human values of openness, empathy, and generosity. Wholeness signifies your gratitude for the people around you and for your current waypoint in life. It embraces the harmonic values of love, respect, and wisdom. The mindset value of truth is humility which requires us to acknowledge that we are not perfect and will occasionally make poor choices. We must practice self-awareness to better understand our strengths and weaknesses, and challenge the biases that influence our thoughts and decisions. Self-awareness also requires us to set meaningful standards to aspire to and regularly measure our behavior against those standards. Finally, we must act with integrity ensuring our thoughts, feelings, words and actions demonstrate our commitment to truth, goodness and long-term success. It sounds simple, doesn’t it? And yet, living a values-based life is rarely easy! It requires time for regular reflection, brutally honest self-appraisal and an unwavering commitment to continuous self-improvement. Cultivating goodness is a life-long journey, not a destination! If we truly want the world to become a better place, if businesses truly believe their people are their most valuable resource, then we all need to take responsibility for proactively cultivating a culture of goodness and caring where we live, learn, work, and play. Good people are the backbone of thriving families, neighborhoods, organizations and any other place you can name. Tjan provides us with roadmap so we can strengthen the values that underpin goodness and success in business and life.